Omoregbee odosama Michael majorly known as Stringz signed to Hitfactory Music( Hit Factory Studio ),is currently the latest kid on the block to focus attention on. The Benin,Nigerian born artist is currently one of the most talked about in Nigeria with his unique Afro pop style. Following the huge success of his previous single titled ‘Konji’ with the YBNL General Olamide and another hot single titled ‘ Aboniki’ both produced by pheelz After period of back to back songs in the studio and rebranding to serve Nigerians more hits,Stringz has decided to set the tracks rolling by joining forces with the Gongo Aso crooner 9ice (Abolore Adigun). 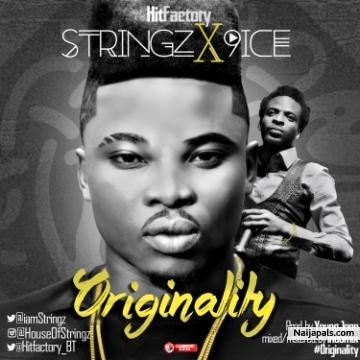 The song which is titled ‘ORIGINALITY’ is produced by Nigeria’s most Hottest producer currently,Young Jonn D wicked producer who happens to be Stringz label mate. The song is mixed and mastered by Indomix and served from the stables of Hitfactory studio.